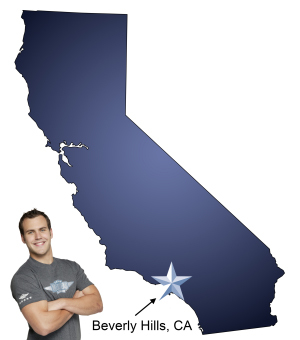 For a trouble-free move with the most trusted Beverly Hills movers, Meathead Movers is the company for you! Our professionally trained student-athlete movers are ready to get you into your new Beverly Hills home. If you are looking for Beverly Hills movers, we are the only moving company for you! Our professionally trained student-athlete movers and our moving concierge service are eagerly waiting to create the perfect moving experience to satisfy even the highest of expectations. Known for its history in the movie industry and as a playground for the rich and famous, this is truly an iconic Los Angeles County city. Check out the famous Beverley Hills Hotel and its iconic pink façade. Who knows, you might even find your favorite celebrity there! Residents and visitors can go shopping in the much-filmed Rodeo Drive or go in for a salon day at Jose Eber. You can also visit Mastro’s on North Canon for an icy martini, enjoy a delicious spread of delectables at Patisserie in the SLS Hotel, or grab an on-the-go dessert at the world’s first cupcake ATM: Sprinkles. Whether you are moving into a luxury condo along Wilshire Boulevard, your dream house, or are moving out of Beverley Hills, Meathead Movers is here to help! Since 1997, we’ve been moving the residents of the Platinum Triangle and have earned the reputation as the go-to premium moving service. We don’t offer celebrity-themed move packages as gimmicks, instead, we provide you with the absolute best movers in the industry. Our all-American, clean cut student athletes are meticulously equipped, painstakingly trained, and 100% dedicated to providing you with the best move possible. Whether moving to, from or within the city, we’re here to support you every step along the way. Our services range from local moving, long distance moving, and even on-site moving for rearranging your home/office or loading rental trucks. In preparation for your move, please make use of our handy Moving Tips. Also, check out our amazing packing professionals, Princess Packers. These are just a couple tools that we have created to help you simplify your move. We know moving is stressful, but it’s our job to ease your transition and we take pride in doing so. When you entrust your move to Meathead, you can rest assured that your move will be a success because our professionally trained Beverly Hills movers are the best movers the industry has to offer. With our 100% satisfaction guarantee, the only thing you have to lose by choosing us as your Beverly Hills movers is the stress that comes from moving! So contact us today for a free moving quote and to learn how we can help you on your next move! Moving to Beverly Hills? Here are some helpful resources. View more Beverly Hills resources. The two guys that helped me were friendly, great at their job and felt incredibly trustworthy and honest. I'm very happy with their service. They arrived at exactly 10 am, friendly, polite, helpful--and that is a lot more than business usually are able to do. The unloading of the containers was very fast and careful. Movers were friendly. On time, super friendly and happy to do any thing requested. Amazingly fast.